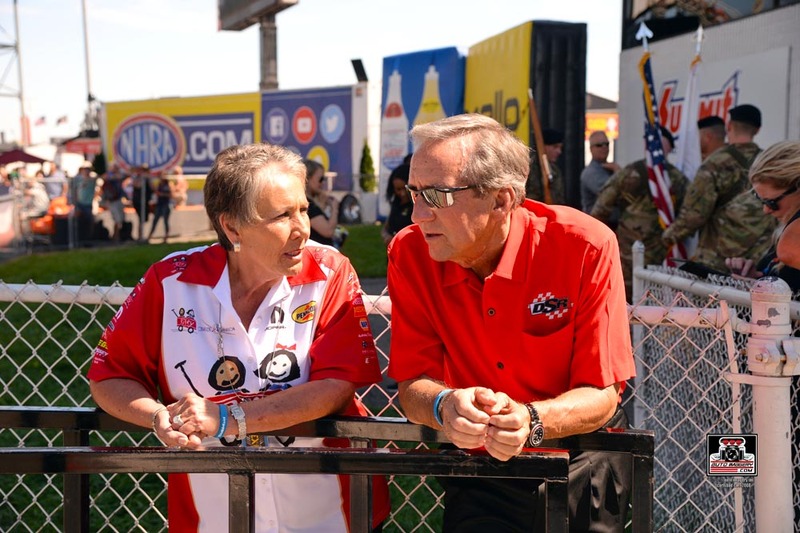 The Don Schumacher Racing tradition of fielding ‘giving cars’ began thanks to the late New Mexico philanthropist and drag racing enthusiast, Terry Chandler. 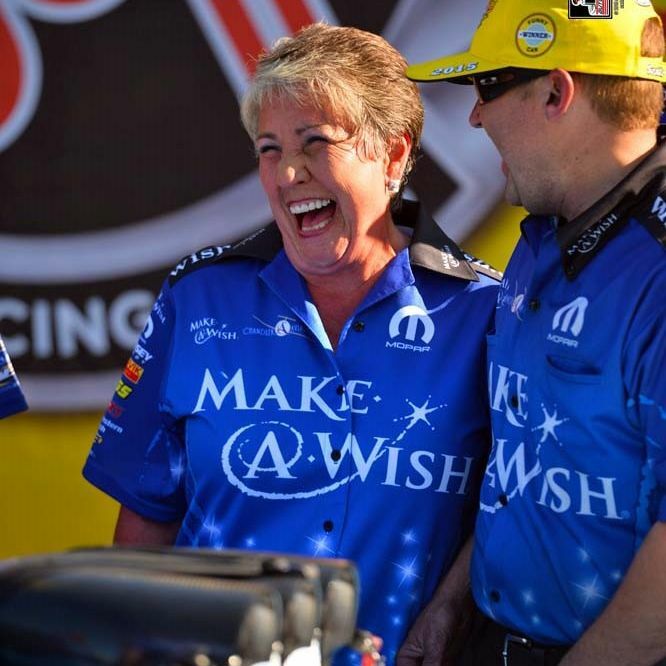 By bannering the Infinite Hero Foundation and Make-A-Wish Foundation on the Funny Cars driven by Jack Beckman and Tommy Johnson Jr., Chandler’s giving car program has raised tremendous awareness for two organizations that were dear to her heart. Sadly, in 2017, Chandler lost a hard-fought battle with glioblastoma, the most aggressive form of brain cancer. Her husband Doug Chandler knew how important the giving car program was to his wife and has generously continued the program in her honor. At this weekend’s MOPAR Express Lane NHRA SpringNationals Presented by Pennzoil in Baytown, Texas, a suburb of Houston, Doug has chosen to recognize The University of Texas MD Anderson Cancer Center with a special tribute livery on one of his late wife’s giving cars, the Beckman-piloted Dodge Charger SRT Hellcat. DSR team owner Don Schumacher is also no stranger to cancer, or the services provided by MD Anderson. Upon his 2014 diagnosis of head and neck cancer, Schumacher also elected to receive treatment at the center. He describes his experience there as “the most effective and best treatment I could have received for my disease” and credits the team for helping him to overcome cancer. Beckman and the Dean Antonelli/John Medlen-led Funny Car team will unveil the MD Anderson Cancer Center Dodge on the Houston Raceway Park starting line just prior to firing up for their first qualifying session of the weekend. Funny Car Q1 is scheduled for 4:30 p.m. CT on Friday, April 12. To make a donation to MD Anderson in Terry Chandler’s honor, please click here.